Hey y’all! I’m an infrequent poster here, but I lurk on here pretty much daily and this is my first big post. 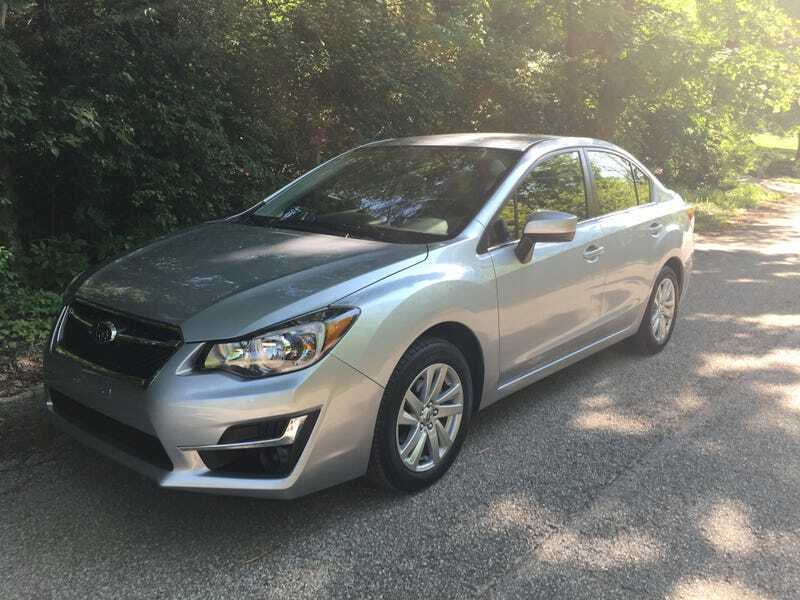 I just bought this 2016 Subaru Impreza Premium 4-door CVT on Saturday. Now I know what you’re thinking, Gasp!, Blasphemy!, Save the Manuals! But this CVT is different in that it is the most buttery smooth transmission I’ve ever driven. I absolutely love it. The paddle shifter’s have six “gear” ratios that are fun to click through, you actually get a little boost in power after you shift up which I enjoy. Subaru really worked their magic on it. I test drove a manual Cross Trek and liked it but I have tendon problems in my right arm that could put my arm in a cast and hamper my ability to drive manual. The premium comes with just enough toys to make you feel satisfied but not feel like you don’t use half the stuff. The Bluetooth is good but slow to connect at first and for some reason doesn’t show the song name after the first song you play. It doesn’t have navigation but I didn’t want that, and a simple TCS Off button makes me happy. I thought that it would feel slow because it only has 148 hpvs my 2008 Impreza’s 170 hp, but the CVT likes to keep you at high revs when your gunning it and you forget how fast your going pretty quickly. Also, through some witchcraft, it only turns 1,700 rpm at 60-65 mph. It is expensive at $22,000. You get a lot of car for that though, the awd alone is enough reason to justify it over the rest of the competition e.g. Civic and Corolla in my opinion. 37 mpg highway ain’t far off from the competitors too.